DALLAS - 3/8/1964: While the Court is in recess today, Sunday March 8th, and the lawyers prepare for the trial to continue tomorrow, we listen to Henry Wade talk about Jack Ruby a few hours after the murder. We also hear Ruby talk to reporters during a break in some of the pretrial hearings. 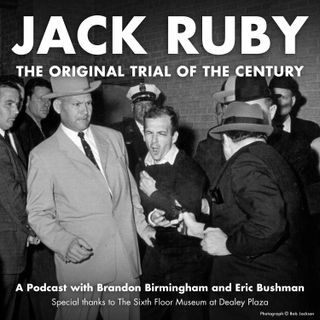 This is the State of Texas vs. Jack Ruby - The Original Trial of the Century.